Piknic Electronik’s Sunday sessions are in full effect, and it’s hard to imagine a time when they weren’t an integral part of Barcelona’s summer clubbing landscape. Being outdoors is the best venue there is; add sunny afternoons, good food and drink, and a relaxed, friendly atmosphere and good times are sure to follow. 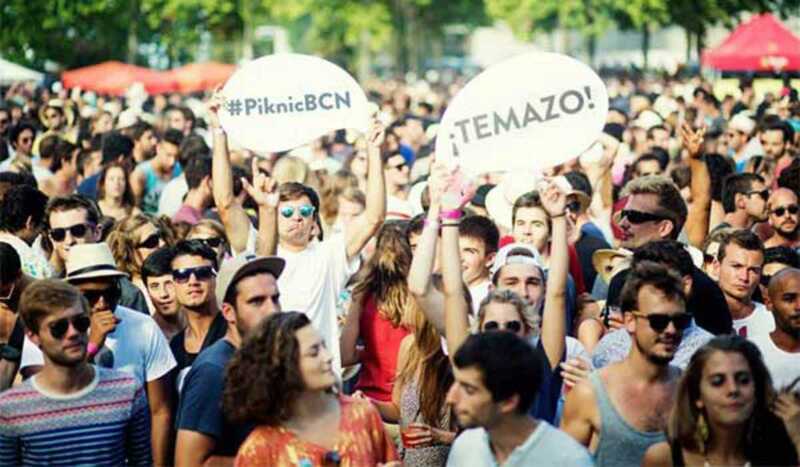 Now in its third year, Piknic Electronik takes place in the Jardins de Joan Brossa on the side of Montjuïc. The location is ideally placed to provide an escape from the hustle of the city center, but it’s still accessible by public transport, making the whole experience hassle free. In fact, Piknic takes the stress out of everything as clubbers with kids will testify. Petit Piknic is a dedicated kid’s space with all kinds of entertainment laid on for junior partygoers. A wide range of quality food and drink is available or you can bring your own – it’s a picnic after all. The continuing popularity of Piknic Electronik has allowed the organizers to bring in an interesting selection of international artists, and they aren’t reliant on booking mainstream names. Sunday, July 27th is a case in point with Gui Boratto from Brazil closing the party with a live set. His colorful and melodic blend of house and techno should provide the perfect soundtrack as dusk descends. Other highlights over the coming weeks include Erol Alkan, Maxxi Soundsystem and Crazy P on August 17th, Agoria on August 24th, and Kompakt Records at the controls with Michael Mayer and Roman Flügel on August 31st. The Piknic Electronik summer season closes on September 14th.